We depend on electricity every minute of everyday and yet many of us take it for granted until the power goes out. Grades 3 through 5 have been learning about simple and parallel circuits to understand the basic principles of electricity. Students have been using their critical thinking skills and deductive reasoning to create electric circuits using a few simple materials (paper, copper tape, paper clips, brass fasteners, CR2032 batteries and LED lights). 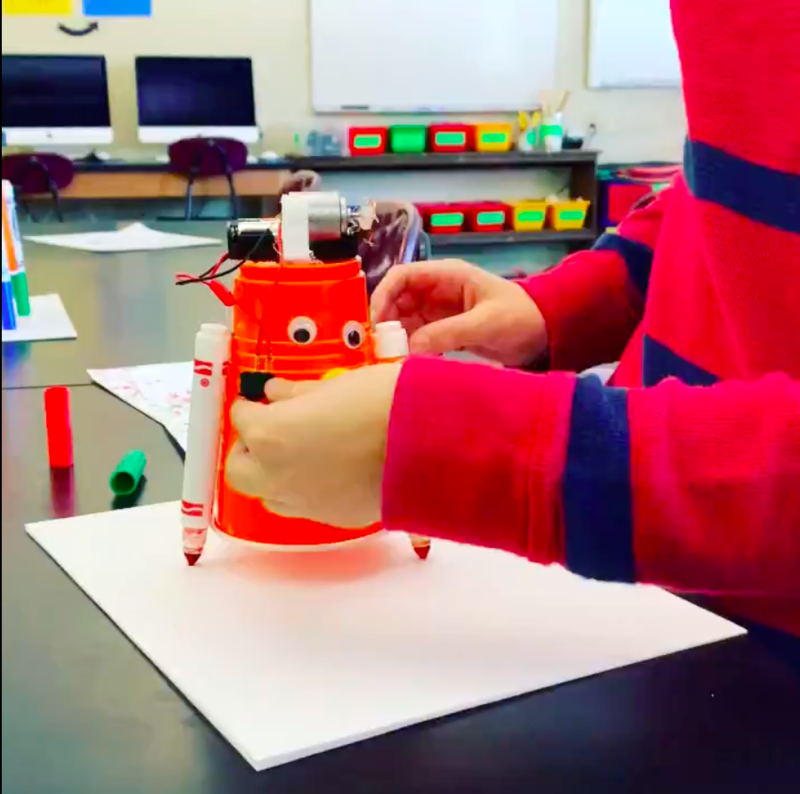 3rd grade took their understanding of circuits and DC motors to the next level by combining their love of robots and electricity to wire scribble-bots (see image). Next up students will be challenged to test the conductivity of a variety of materials with the Makey Makey Invention Kit moving our understanding of electricity online.